A six-year old girl named Sophia Liu was tragically killed last night when an SUV driver confirmed to be an Uber-contracted driver struck her in a San Francisco crosswalk. Uber has essentially denied liability, noting in a statement that “this tragedy did not involve a vehicle or provider doing a trip on the Uber system”. Uber’s insurance does not cover drivers between rides, but the accident raises questions of whether it should. The San Francisco Police Department told local news channel KTVU that just before 8pm on New Year’s Eve, a mother and her two young children, Sophia and her brother, were crossing the street at Polk and Ellis in SF’s Tenderloin district. Supervisor Jane Kim said an SUV driver that Uber confirms was one of their contractors turned right into the crosswalk without yielding to the pedestrians who had the green light, and struck the entire family. Sophia was brought to SF General Hospital where she sadly passed away. Sophia’s brother is expected to survive but her mother was recently listed in critical condition due to life threatening injuries from the accident. Above in a screen pic from KTVU’s coverage, you can see the gray Honda Pilot vehicle in the crosswalk at Polk and Ellis. Officer Gordon Shyy tells SFAppeal that the driver was 57-year old Union City man Syed Muzzafar. Muzzafar stayed on the scene and was cooperative with police. He was later arrested on suspicion of vehicular manslaughter. The SF Superior Court told VentureBeat that Muzzafar posted $300,100 for bail yesterday, and will return to court on January 7. “Our hearts go out to the family and victims of the accident that occurred in downtown San Francisco last night. We work with transportation providers across the Bay Area, but we can confirm that this tragedy did not involve a vehicle or provider doing a trip on the Uber system. Our policy is to immediately deactivate any Uber partner involved in a serious law enforcement matter. For that reason, we urge the police to release information about the driver in question as soon as possible. If the driver is a partner of Uber, his or her Uber account will immediately be deactivated. UPDATE: We thank law enforcement for the quick release of information. We can confirm that the driver in question was a partner of Uber and that we have deactivated his Uber account. The driver was not providing services on the Uber system during the time of the accident. We again extend our deepest condolences to the family and victims of this tragic accident. The statement implies that Uber is not liable for the accident as it did not occur during an official Uber ride. It may have occurred either between Uber rides, when the driver was on his way to start giving rides, on his way home or to another personal destination, or providing a ride not booked through Uber. Uber typically requires drivers to buy their own commercial car insurance, and provides an additional $1 million in insurance above and beyond the driver’s. But in California, the Public Utilities Commission has given Uber permission not to require drivers to have commercial insurance. Either way, since this accident didn’t occur during an active ride, it’s not eligible to be covered by Uber’s insurance. 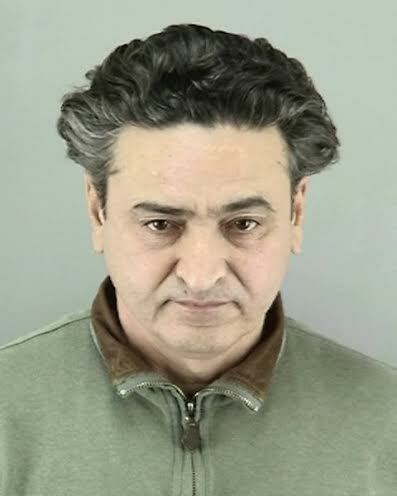 Muzzafar may be covered by additional insurance from a third-party car fleet operator if he rented the SUV. Should App-Based Car Services Provide Insurance Between Rides? People have scrutinized Uber’s approach to insurance in the past. But this terrible accident on New Year’s Eve brings a specific question into focus. Should app-based taxi and ridesharing should provide insurance to cover drivers while they’re between rides but actively looking to pick up passengers? To be clear, there’s no way of knowing what exactly caused Muzzafar’s car to collide with the family. We also don’t know if he was between Uber rides, heading out to start work, on his way home or elsewhere, or giving a ride booked outside of Uber. Ridesharing and taxi app drivers do typically use a dashboard-mounted phone opened to an app that shows nearby requests for rides, though. 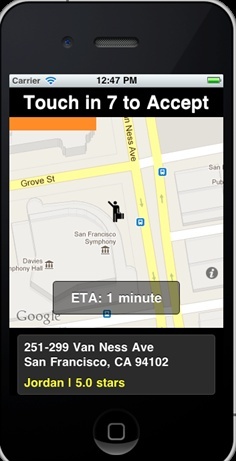 Unlike a traditional GPS system that simply points drivers to their destination, car service apps often directly ping drivers with pop-ups and sounds whenever someone nearby asks for a ride. Drivers may have to respond quickly to secure the fare, or another driver may swoop in and claim it. These apps could be distracting to drivers by pulling their attenton off the road and onto their phone, even if they haven’t accepted a ride yet. That means the apps could negatively influence a driver’s on-road safety even when they’re not actively on their way to pick up a passenger or currently transporting them. Some might consider this reason enough for these services to extend insurance as long as the driver has the app open and is receiving digital hails from potential passengers. If rideshare and car services don’t provide insurance whenever drivers partnered with them are working, it could create an insurance gap. A rideshare driver might only have personal insurance that might not cover them while they have a rideshare app open, but the rideshare service might not cover them between rides. That means in the case of an accident where victims have significant medical bills, the driver’s personal insurance could deny the claim and the rideshare service could deny liability. That means the victims may only be able to sue the driver for their personal assets, which may not be enough to cover the medical bills. By bringing up this issue, I’m not trying to blame Uber or any other service for accidents, which are typical in transportation. I’m saying that app usage by ridesharing and car service drivers may impair driving, and so there should be a discussion of whether car services should extend insurance to drivers whenever they have their apps open, not just when they’re on an official job.